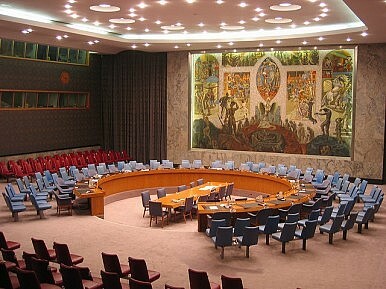 Amidst of a sea of resolutions on crumbling security situations across Africa, the UN Security Council adopted an important resolution (UNSCR 1977) this spring extending the mandate of UNSCR 1540 an additional 10 years until 2021. The Council also decided to implement a formal comprehensive review on the status of the resolution’s implementation after five years. Originally passed in 2004, 1540 aims to combat the risk of non-state actors acquiring and potentially using weapons of mass destruction and their delivery vehicles. Resolution 1540, adopted shortly after A.Q. Khan’s nuclear smuggling network was revealed, targets WMD proliferation syndicates and attempts to enforce compliance through criminalizing nefarious transfers to terrorist organizations. Further underwriting its importance, 1540 was invoked under Chapter VII authority of the UN charter, which authorizes the use of force to maintain international peace and security. South African Ambassador to the United Nations Baso Sanqu chairs the 1540 Committee, which has a mandate to report on the implementation status of the resolution. As Sanqu leads the committee into its eighth year of work, he’ll look to position 1540 so that it continues to address emerging threats. The Committee’s last comprehensive update, dubbed the Heller report after former 1540 chairman Claude Heller, was released in December 2010. The report recommended that the Security Council extend 1540 for an additional 10 years, with a potential to review every five years. Heller modelled this recommendation after the Nuclear Non-Proliferation Treaty, which has a review conference every five years. Heller also advocated that the Committee focus greater attention on biological weapons proliferation, an area that has thus far been marginalized compared with nuclear and chemical weapons prevention. It seems at first glance that Heller’s recommendations have been adopted by the UNSC, but the proposal on the review conference has yet to be institutionalized (despite the decision to hold one in 2016). Moreover, the new resolution doesn’t provide a tangible mandate for increased attention to biological weapons. Despite this, Interpol has recently stressed it will commit more resources to fighting bioterrorism. How have UN member states fared thus far in meeting their 1540 obligations? A great deal of effective work has been done since 2004 in response to the resolution’s unprecedented requirements. The ‘G-8 Global Partnership Against the Spread of Weapons and Materials of Mass Destruction’has effectively contributed a tremendous amount of state-to-state assistance in preventing terrorist acquisition of WMD and related materials through the provision of expertise and financial backing of projects in areas such as nuclear security, chemical weapons destruction and biological weapons non-proliferation. The 1540 committee is supported by the recent extension of the G-8 Global Partnership, which endorsed supporting the resolution as one of its four pillars. The International Atomic Energy Agency and the Organization for the Prohibition of Chemical Weapons have also continued to help out by providing capacity building programs to developing countries, which often have abysmal infrastructures protecting such sensitive materials. While the extension of the 1540 mandate isn’t surprising, it is nonetheless significant for the fact that it demonstrates that the UNSC hasn’t let recent events in Africa and the Middle East distract it from mid- to long-term security threats. It’s now important for 1540 to continue to evolve beyond its early accomplishments and – considering the amount of work left to be done – perhaps even move towards eventual institutionalization.